A new year, new resolutions, and new projects! I always love the New Year and the opportunity it gives us to reflect, restart, and make new plans. And if you're an avid crocheter like me, odds are good that at least some of your plans revolve around yarn. One of my goals for 2016 is to put my yarn stash to good use! In case you're new to the world of wool, a yarn stash is basically your collection of yarn: all of your new skeins and your leftover bits after your finished projects. Lately my yarn stash has gotten somewhat out of hand. After picking up random lovely skeins on sale here and there and being physically incapable of getting rid of any yarn, I have a bit more stored up than I should. 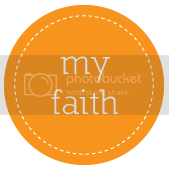 So I'm challenging myself to use it, and you can too!